Honeywell Xenon 1902 - USB Kit. 2D Imager, Standard Range. Includes access point and USB cable. Color: Black. Requires battery charger (Part# MB4-BAT-SCN01NAD0). 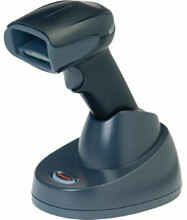 The Honeywell 1902GSR-2USB-8NAP is also known as 1902GSR-2USB-8NAP	or 1902GSR2USB8NAP	.